You’re not going to settle for less in your career, either. Our clients are innovators, executives, and successful professionals who want to achieve at the highest level possible. We offer a powerful, meaningful approach to career, executive and business coaching that helps you get real results and lasting change. If you’re wanting to make a much needed change in your career (or are one of our beloved millennials, just back from Thailand and wondering what to do next) our strategic career coaching can help you get clarity and direction about your next steps. Our work together will start with an assessment. Through a combination of interviewing, personality, and aptitude testing we’ll help you get clear about your strengths and your growth opportunities. Then, with your goals firmly in mind, we’ll help you design an effective plan to overcome obstacles, practice new skills and strategies, and take the positive action that will move you forward. Whether the work ahead involves researching possible professions, practicing interviewing skills, resume writing, networking, making big decisions about going back to school or relocating, or simply deciding what you want to be when you grow up (even if you’re approaching retirement! )… we’re here to help. We support extremely successful achievers. We work with many executives and professionals who are looking to take their careers to the next level. There is a reason why so many successful people seek us out: As you advance in your career, take on additional responsibilities, and become a manager and leader you will always encounter new challenges. Successful, proactive professionals believe in education, and tend to view new challenges as an opportunity for new growth. By using “problems” as “information” about what to improve, you can expand your skill set, become more competent, more effective, and more balanced in both your professional and personal roles. First we’ll work with you to identify your strengths, and also your current growth opportunities. Once we have a clear understanding of your situation, we can work with you to craft a tailored action plan for positive change. Depending on your needs we may work together around time management, personal productivity, work / life balance, leadership, team-building, communication, management skills, emotional intelligence, tricky office politics, managing stress and burnout, or challenging work relationships. Building a successful business is one of the most challenging things you can do, and entrepreneurs are a special breed. Whether you’re the founder of an international corporation, running a family business, or launching a start up, you are under a unique set of stressors and responsibilities. When everyone is looking to you for answers, we’re here to help you find them. If you are preparing to start a business we can work with you as you plan your strategy. Business planning, research, identification of goals, the impact on your family, financial realities, and action steps will all be addressed. By working with a motivating, accountability coach you’ll get traction on your ideas and start making your dreams your reality. If you’re like many of our clients already heading a successful operation, we can help you lead your business into growth and prosperity. We’ll work with you to refine your vision, identify opportunities, build your team, and create a culture of profitability and success. Furthermore, we can help you cultivate healthy work / life balance and, if the time is right, even plan your victorious exit strategy. We harness your strengths, and help you take advantage of opportunities. By focusing on what works, we help you build your clarity, your confidence, your skill-set, and your personal power. Because everyone on our career and executive coaching team is also trained as a therapist, we can help you go deeper. We help you identify old patterns, and increase your self awareness. Effective coaching is all about taking positive action. When the time is right for you to make changes, you’ll leave your coaching sessions with valuable new ideas, homework assignments, and actionable advice. The future of your career to risk on anything but the best. Our experts only use evidence based coaching strategies that have been proven by research to get results, such as CBT techniques, Motivational Interviewing, and Solution Focused Coaching. 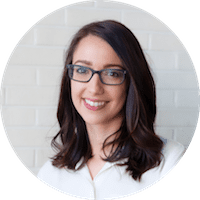 Jessica Small is a therapist and life coach with years of experience in helping her clients create optimum levels of health and happiness in every aspect of life. 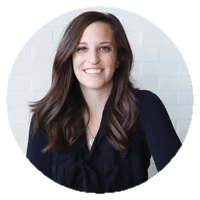 She can help you get clarity, direction, and an effective plan of action to build a career (and a life) that is both meaningful and satisfying. 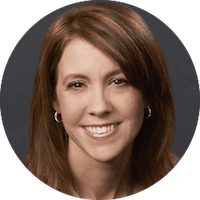 Dr. Kristi Helvig has two decades of experience in helping people create positive change. Trained as a psychologist, Dr. Helvig now specializes exclusively in life, career, executive, & business coaching. She can help you find your passion, “climb your mountain,” and live your dream. Markie Keelan is a dynamic therapist and coach with years of experience in helping people all over the world achieve at the highest levels. She is both a career coach and a sports psychology coach, and she knows how to help you improve your performance and get ahead. Best Yet? We’re Easy To Work With. Day, evening & weekend appointments. Our DTC office is convenient to Greenwood Village, Centennial, Parker, Aurora, & Englewood. We have additional locations in Denver (Cherry Creek) & Broomfield. Travel? Kids? We offer online career & executive coaching too. Easy online scheduling, or call our 24/7 receptionist for live help.